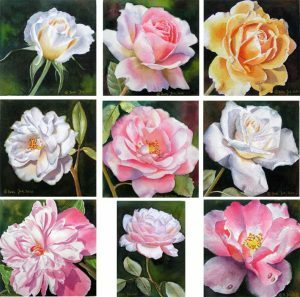 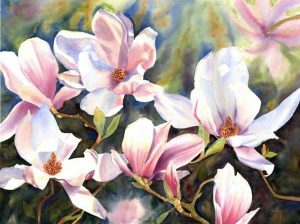 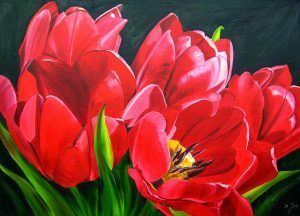 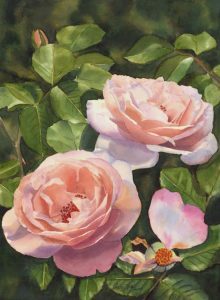 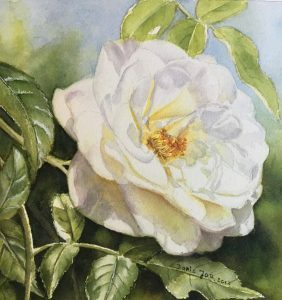 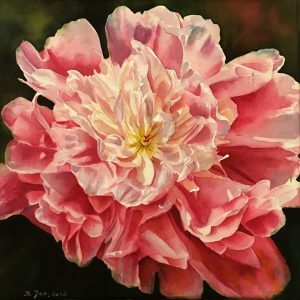 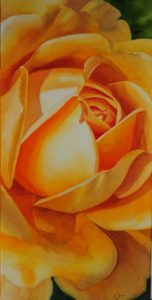 Original Rose Paintings and Flower Paintings are for sale – choose your favorite original painting from this collection of painted roses and flowers or get a fine art print. 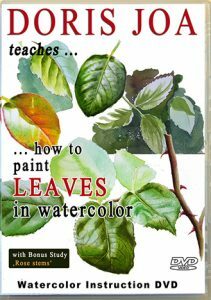 Easy and safe to purchase. 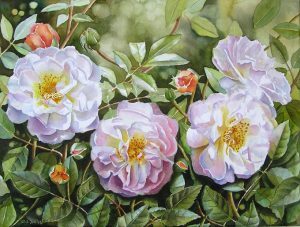 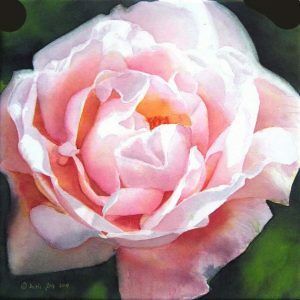 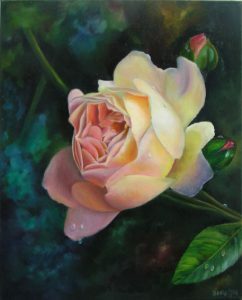 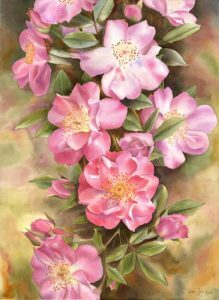 In my rose art gallery you will find a large collection of painted roses. 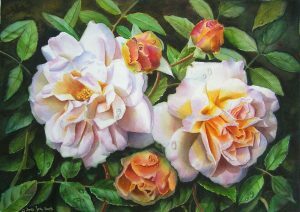 I love to paint white and yellow roses, pink and red roses, orange and purple roses. 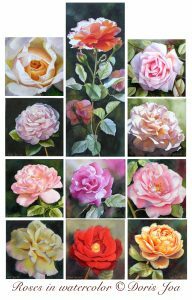 You will find the stunning David Austin Rose ‘Golden Celebration’, Sangerhause Jubilaeumsrose, Ingrid Bergman Rose, Heidi Klum Rose, Renaissance Roses, Heritage from David Austin, Climbing Rose New Dawn, Lions Rose or just simple Garden Roses. 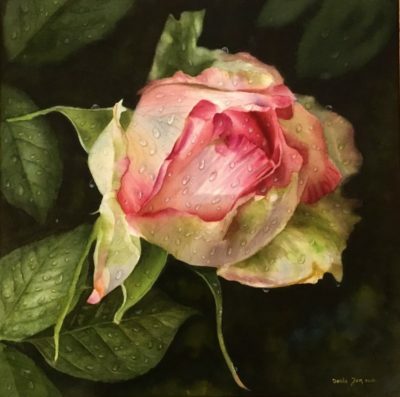 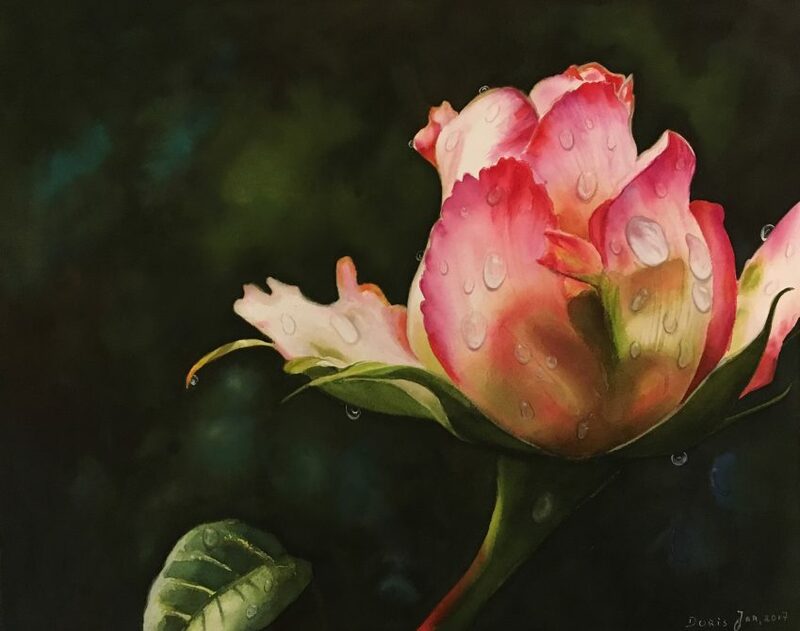 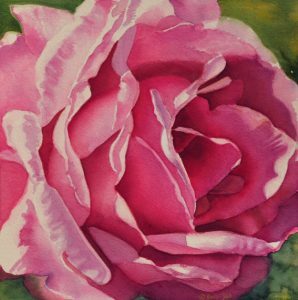 I love to create my rose paintings as if I stand in a garden and can smell the rose and feel the sunshine or the raindrops on the soft petals. 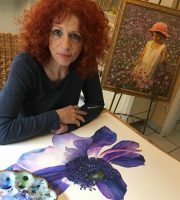 I love to paint atmosphere in my paintings. 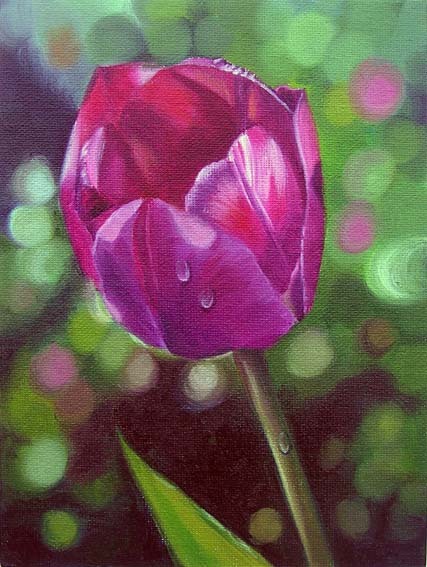 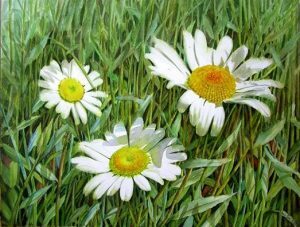 Beside roses I also love to create other flower paintings. 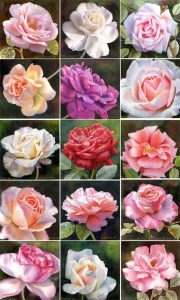 Each flower is different and challenges me. 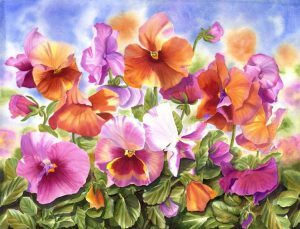 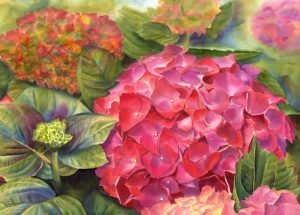 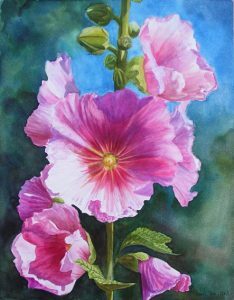 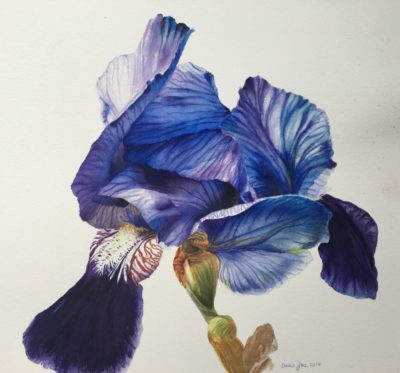 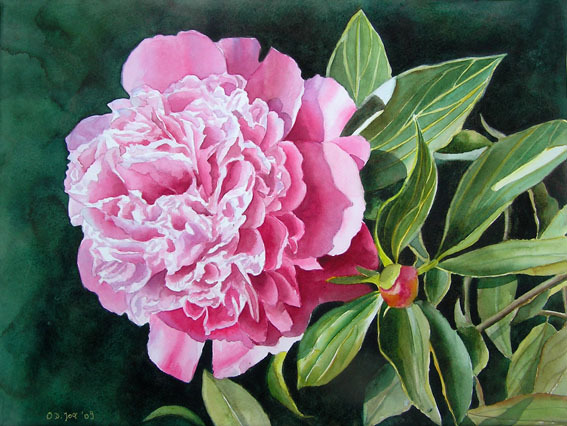 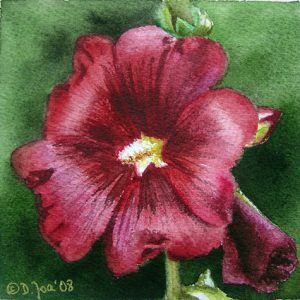 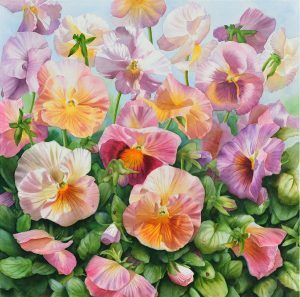 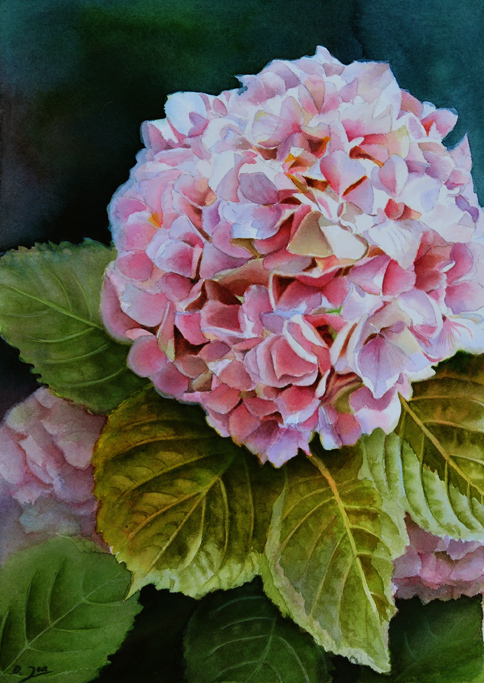 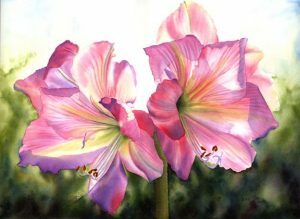 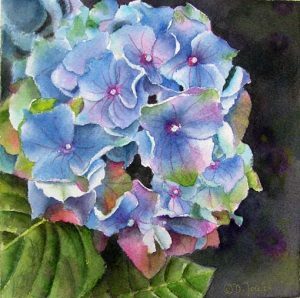 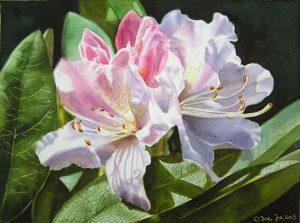 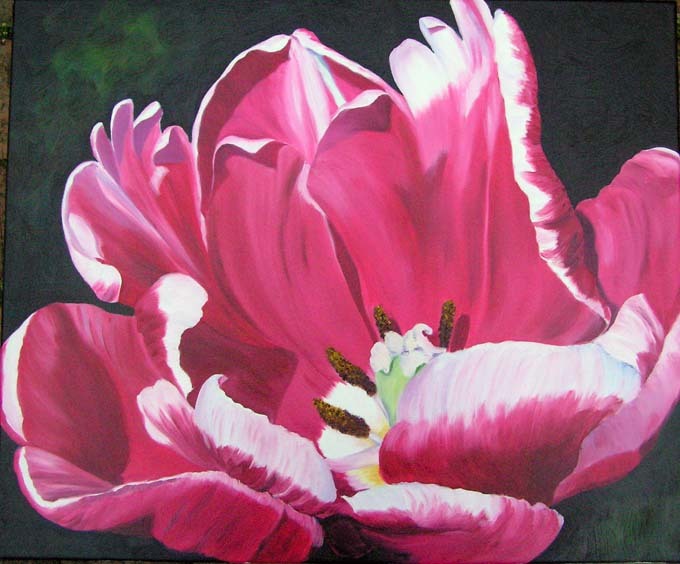 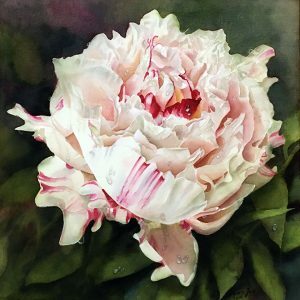 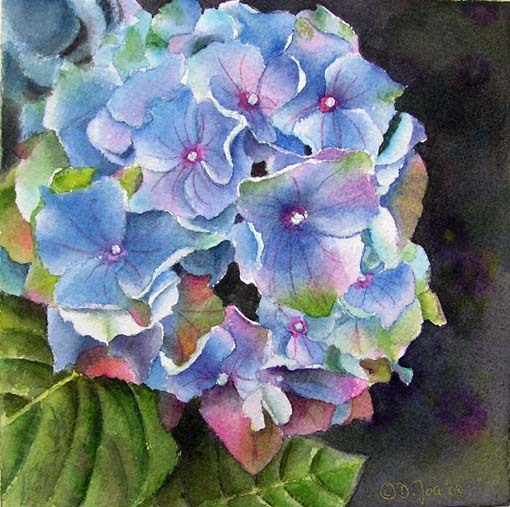 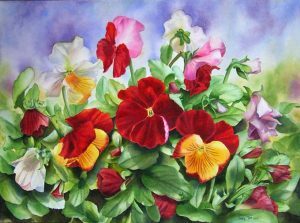 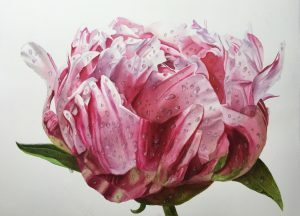 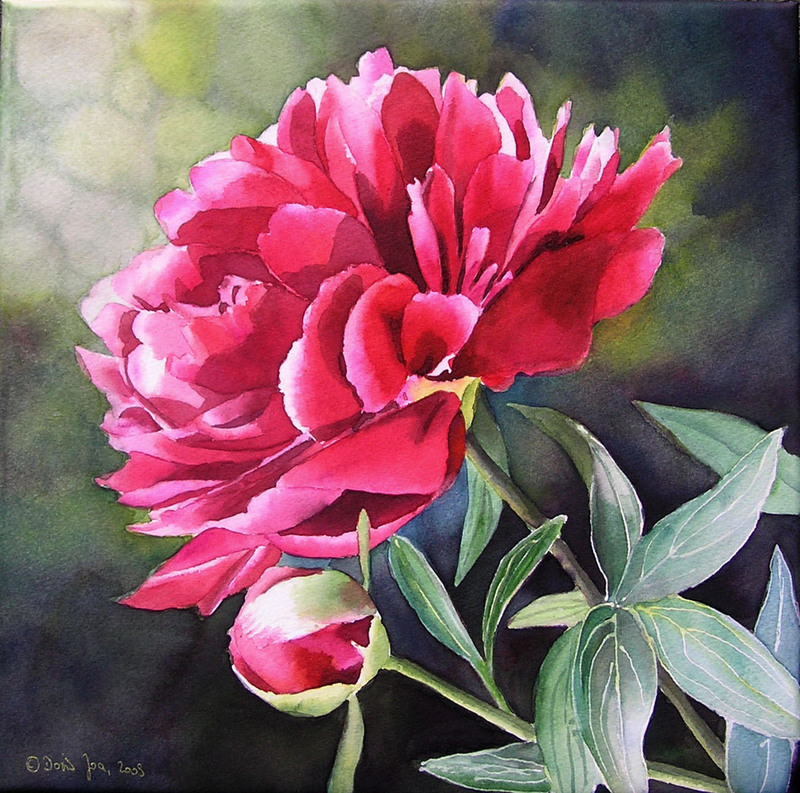 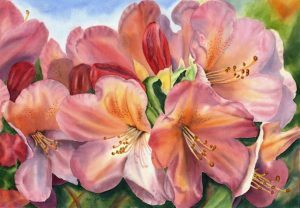 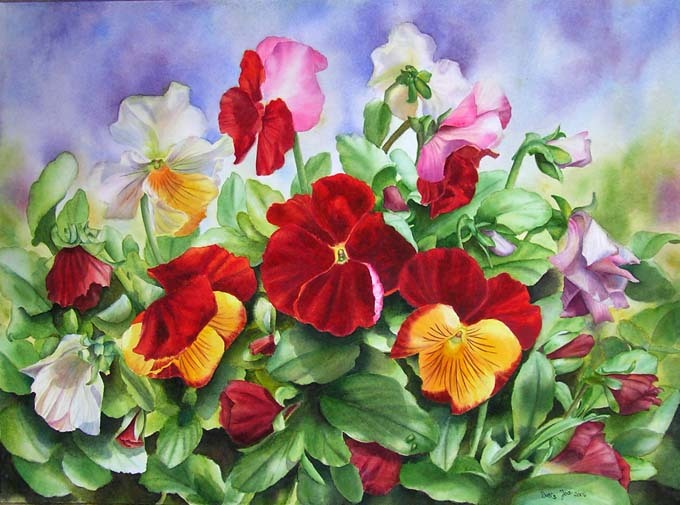 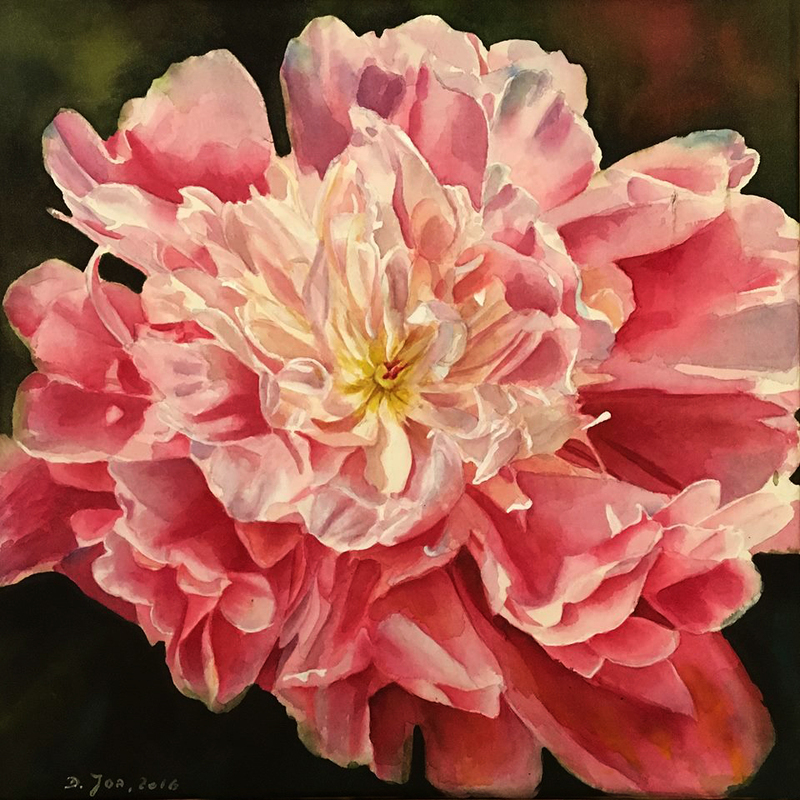 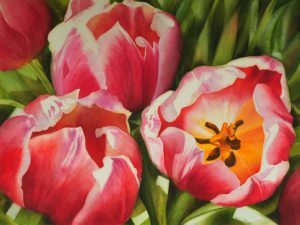 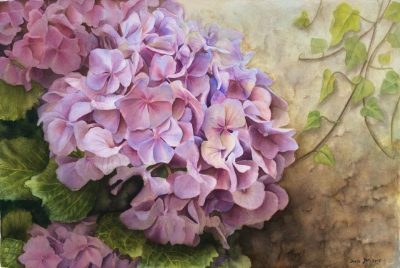 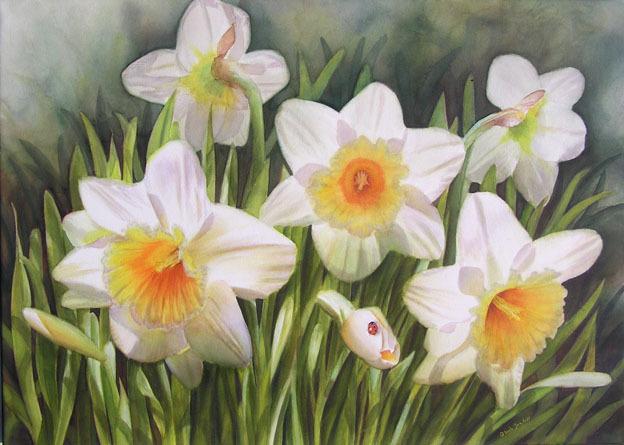 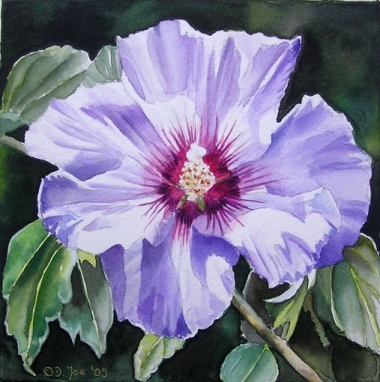 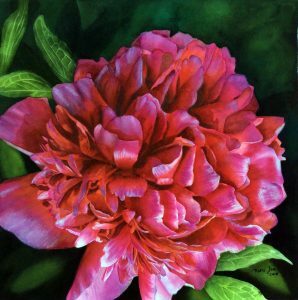 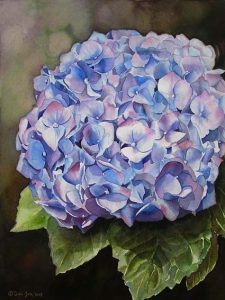 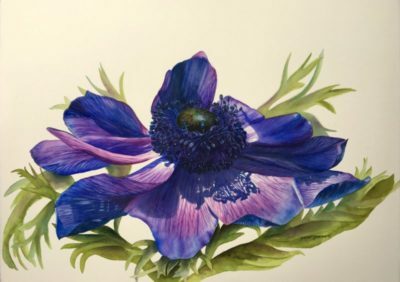 I create paintings of pink, blue or white hydrangeas, colourful pansies, pink or blue hybiscus paintings, paeonies in different colours, hollyhocks, red tulips, white daffodils, snowdrops or white daisies in detail. 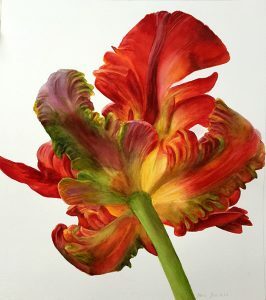 Below you will find a beautiful large collection of painted roses and flowers in watercolor and oil. 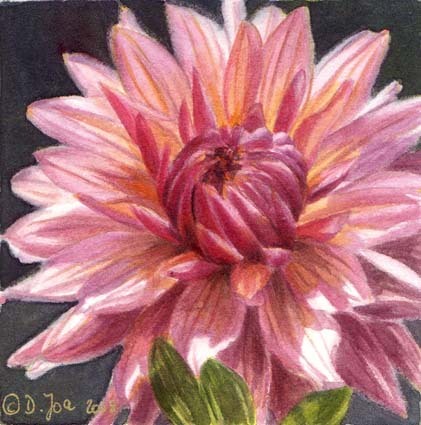 Just click on the image to get a larger view. 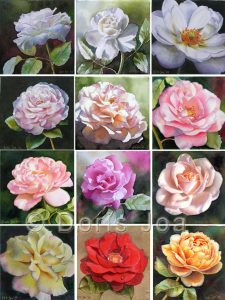 Enjoy to browse the gallery and if you have any question please send an email using my contact form. I also painted many small rose flower paintings in small sizes like 4″x4″, 6″x6″ and a few 12″x12″. 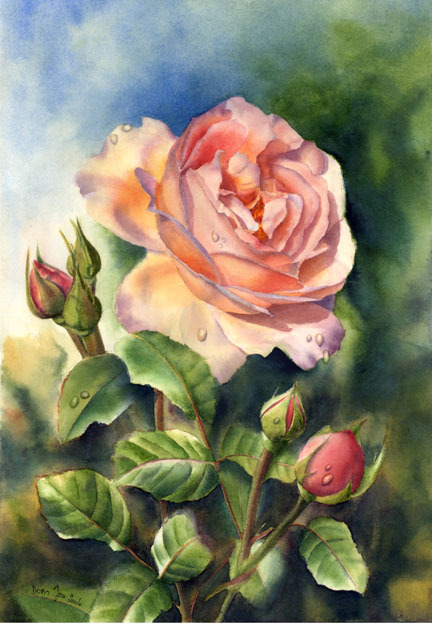 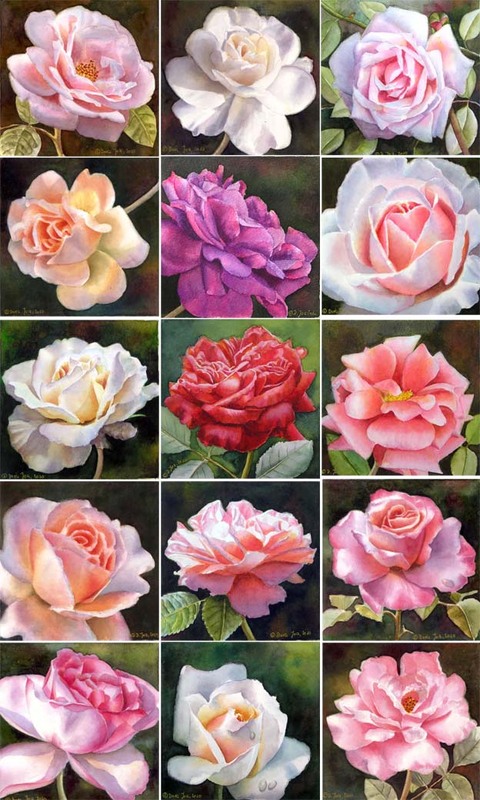 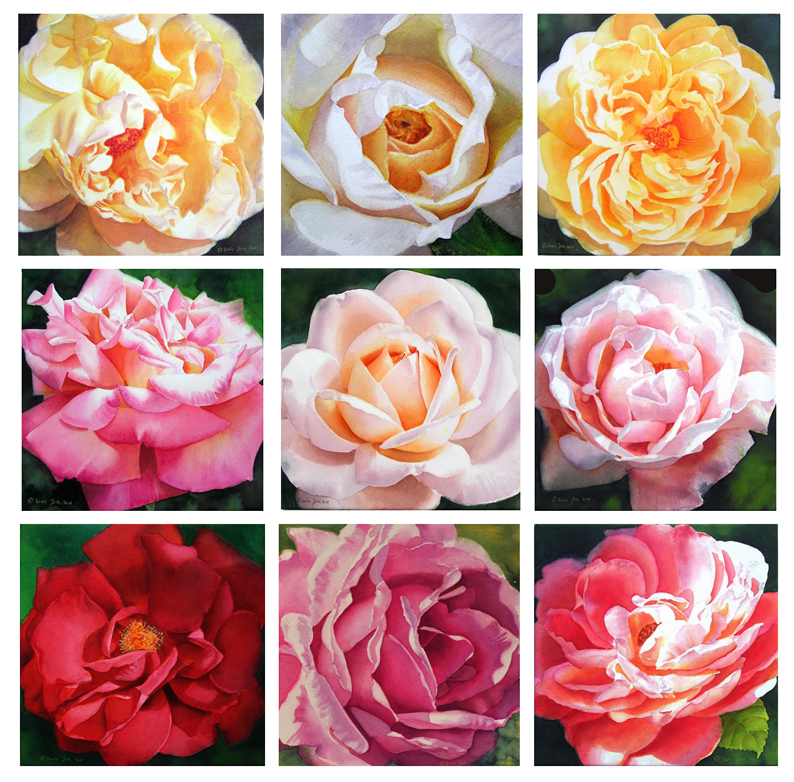 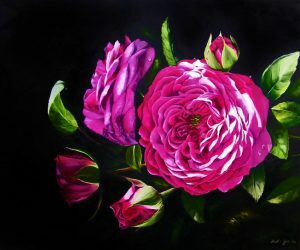 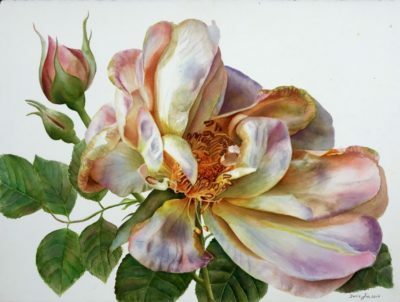 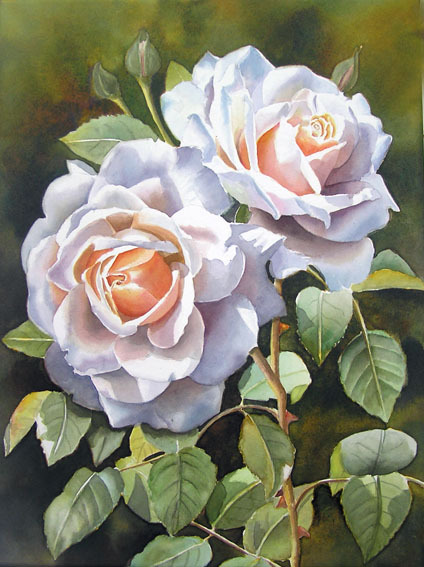 Click on the images to view all Rose Paintings in this wonderful collection. 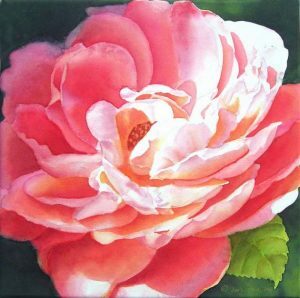 To create Rose Paintings and Flower Paintings is one of my biggest passion. 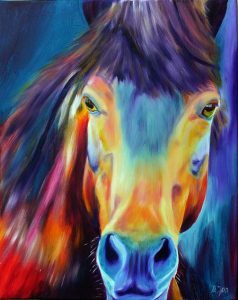 If you are searching for a special painting just send a message using the contact form or visit the Commissions Page for more information. 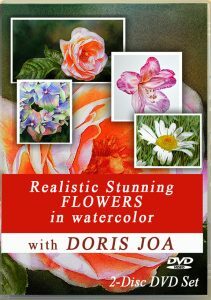 Shopping on my website is very easy and safe. 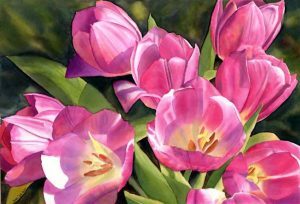 I am using Paypal as Payment possibility. If you want to order a Fine Art Print please click on the “Add to Cart”- Button. After that your shopping card is being displayed at the top of the page. 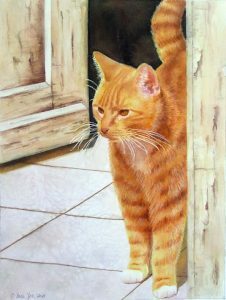 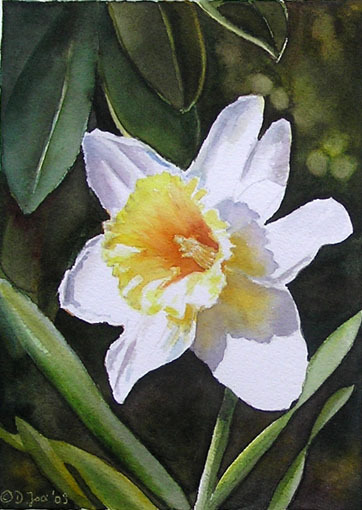 It is easy to add another original painting or print to your shopping card or to remove one. When your shopping is finished simply click on the “Checkout”-Button in your shopping card and complete the payment with Paypal. You pay only one time shipping costs. 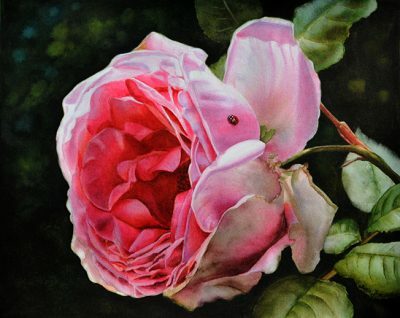 If you are looking for a special painted rose and you can’t find it here please contact me. 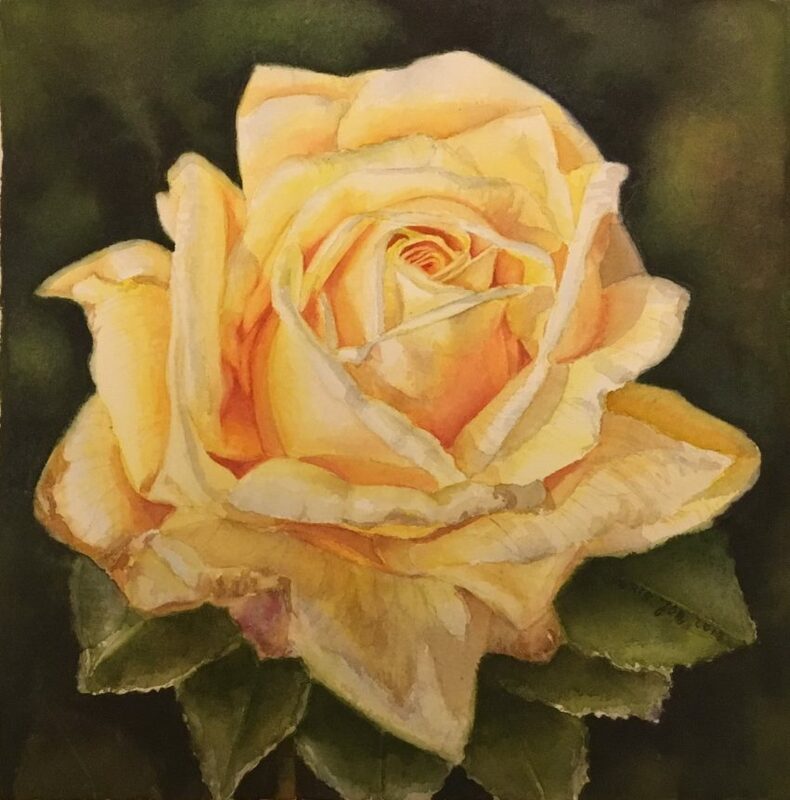 I take commissions. 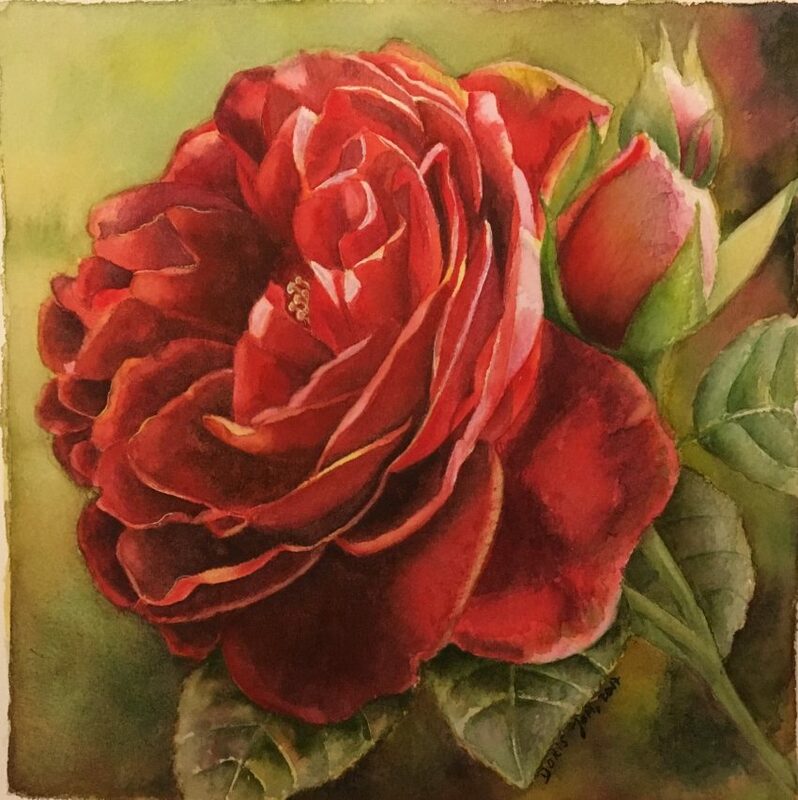 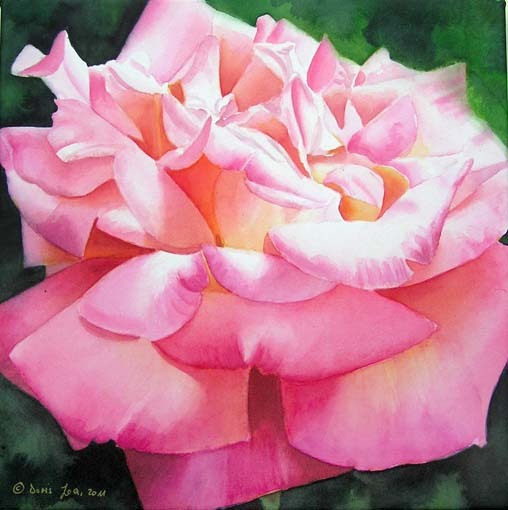 Please click for more information on how to commission a rose painting. 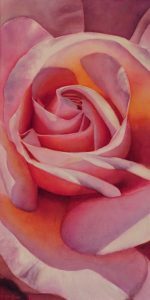 Please visit my FAQ page to see some more info about my artwork. 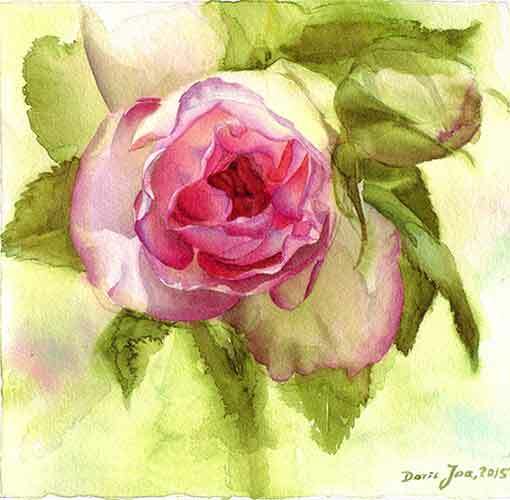 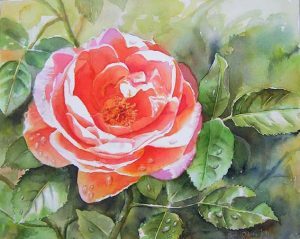 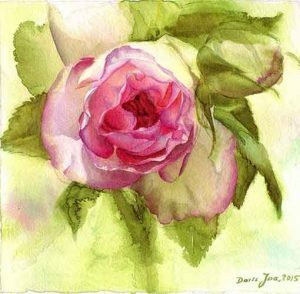 If you too want to learn how to paint a rose in watercolor then you have come to the right place. 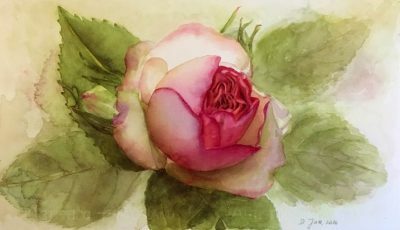 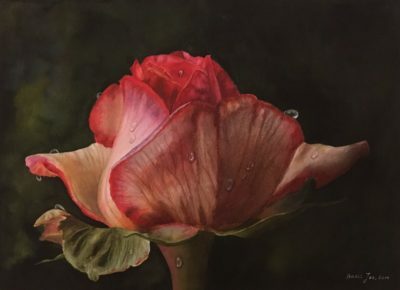 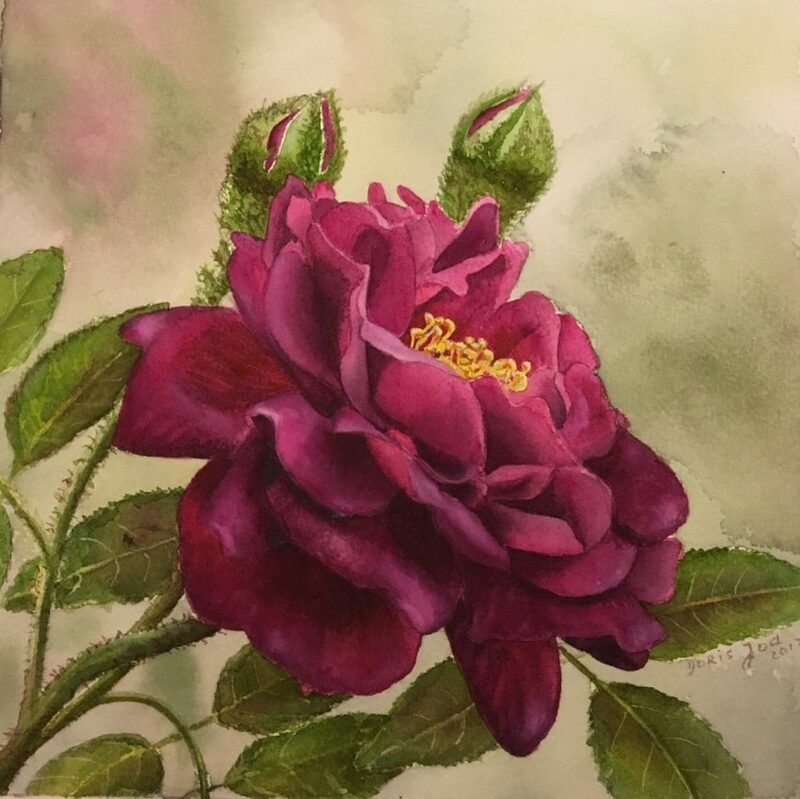 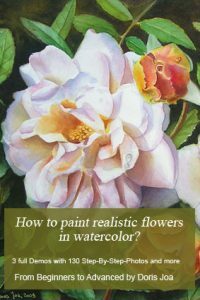 I have created some free watercolor tutorials with information about my materials I am using for my realistic rose and flower paintings. 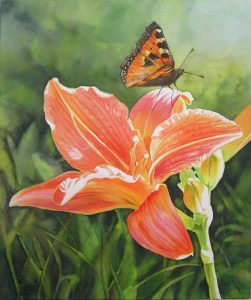 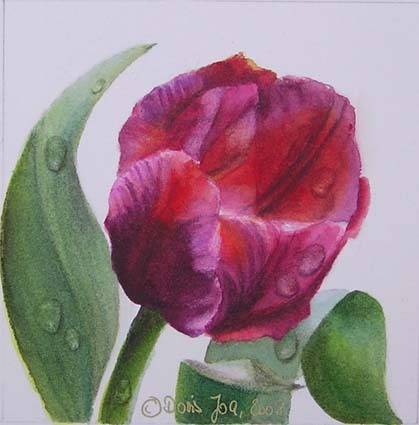 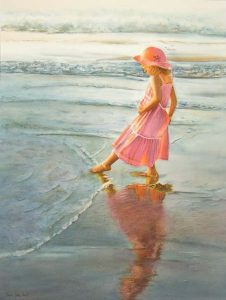 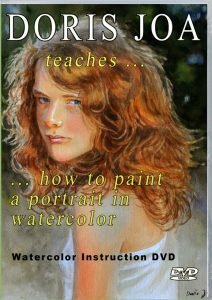 Get Watercolor Instruction on Technique and Painting Lessons with many step-by-step photos. 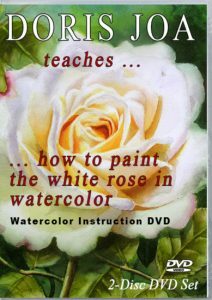 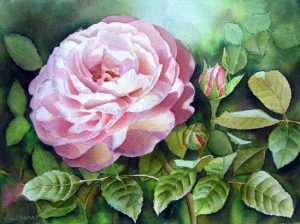 My Watercolor DVDs also teach you how to create complete rose paintings with background and leaves. 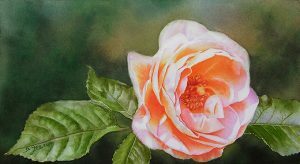 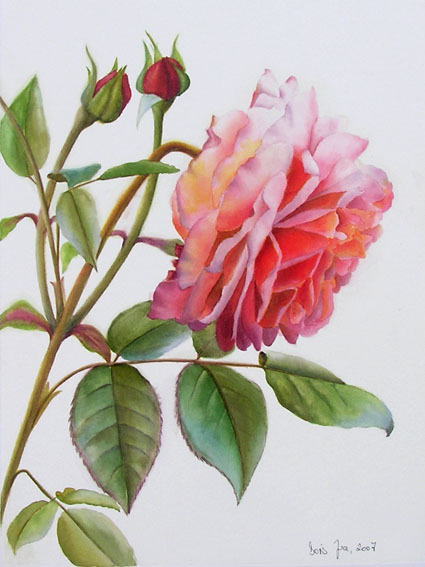 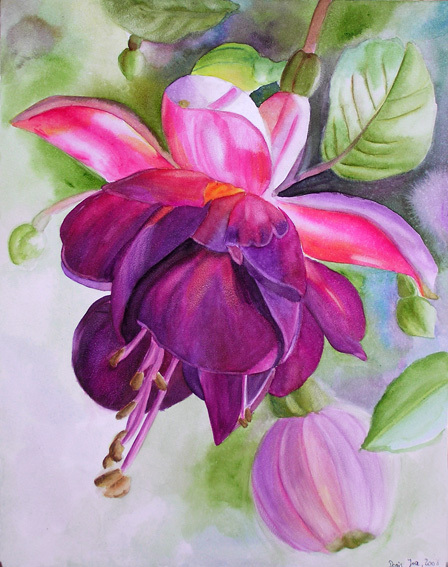 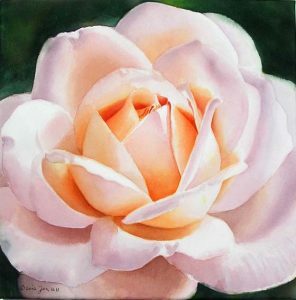 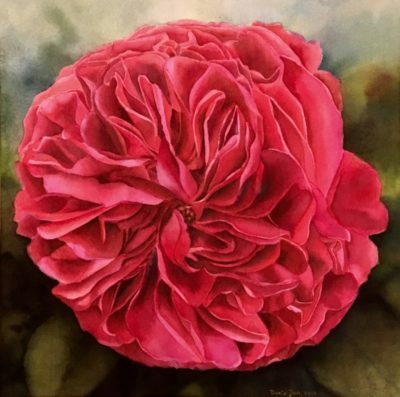 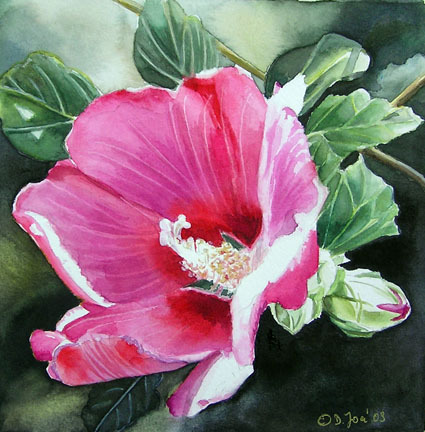 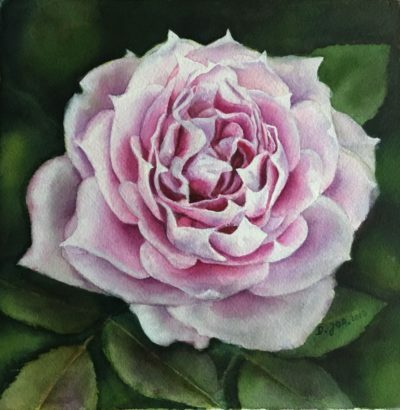 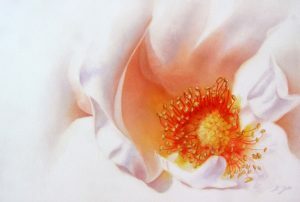 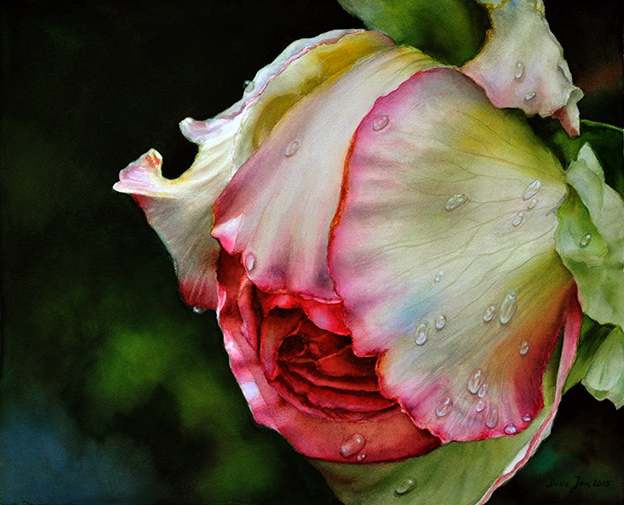 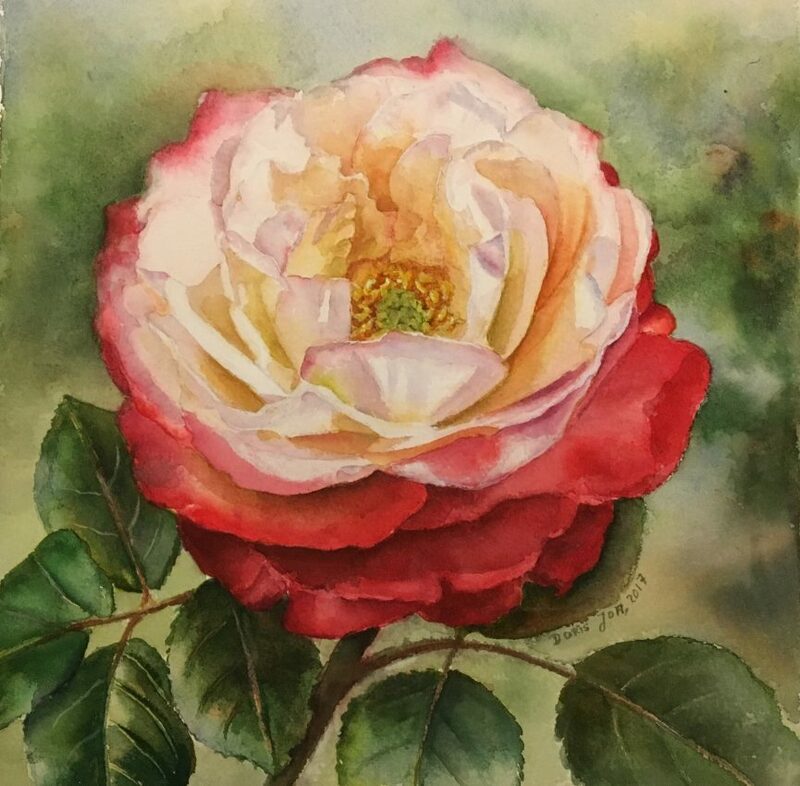 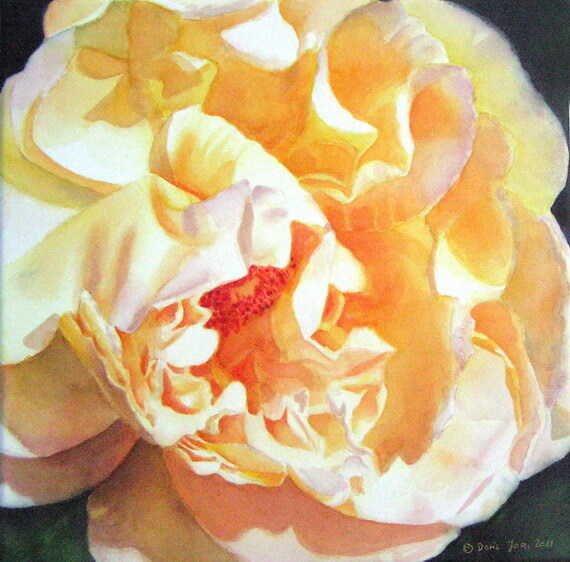 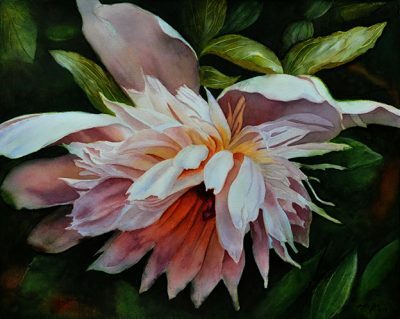 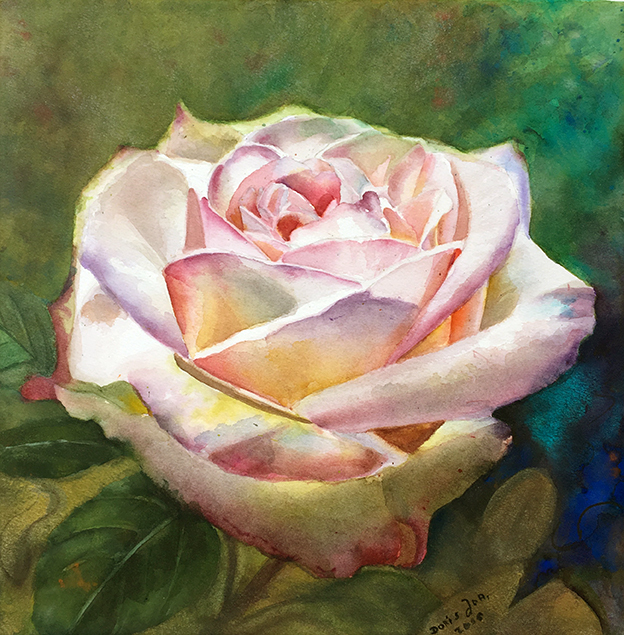 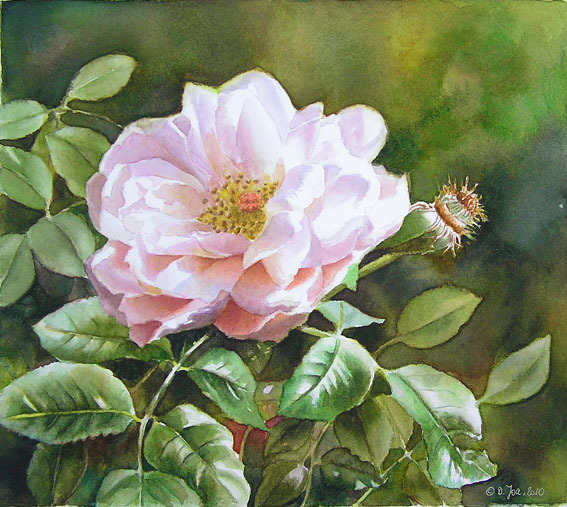 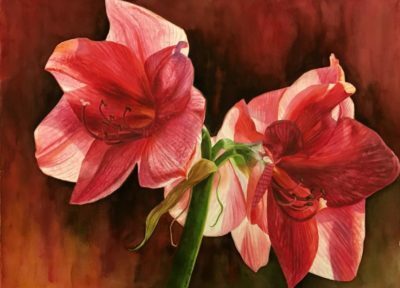 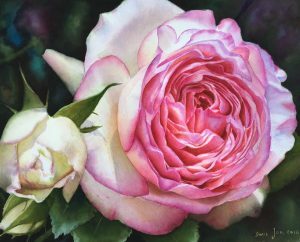 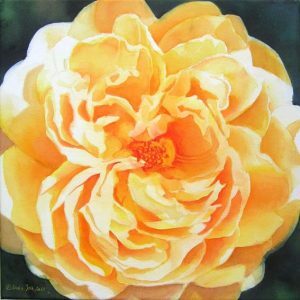 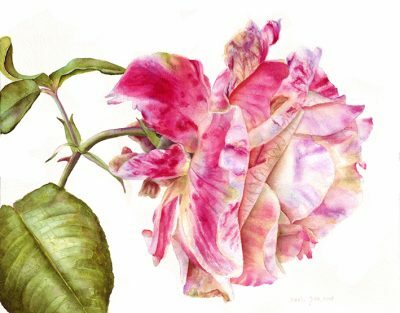 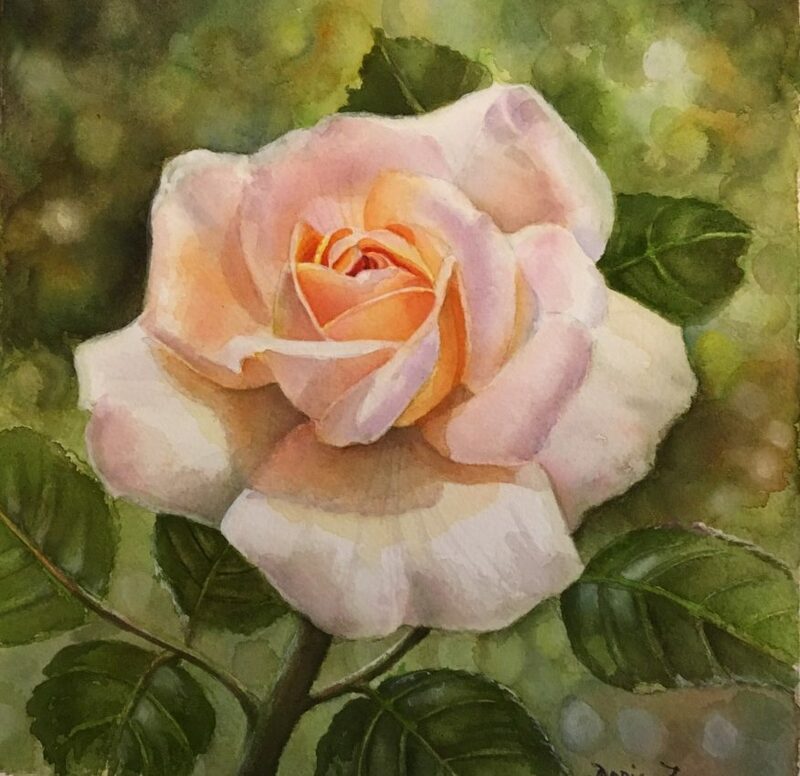 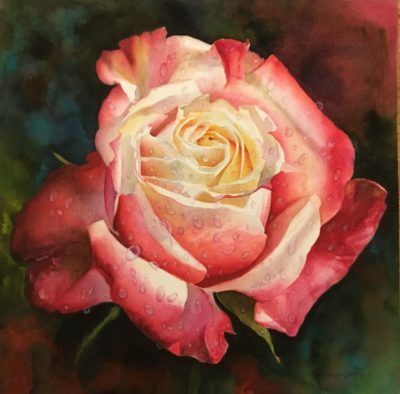 I love to share how I create my successful Rose Paintings and Flower Paintings in Watercolor.